Since opening its chapters in Pulau Banding and Kg. Bukit Sapi in Perak and Kg. Belihoi in Negeri Sembilan, Kampung Mambong and Kambug in Kuching, KFC Sharing Moments is now reaching out to the rural community in Kota Kinabalu, Sabah. 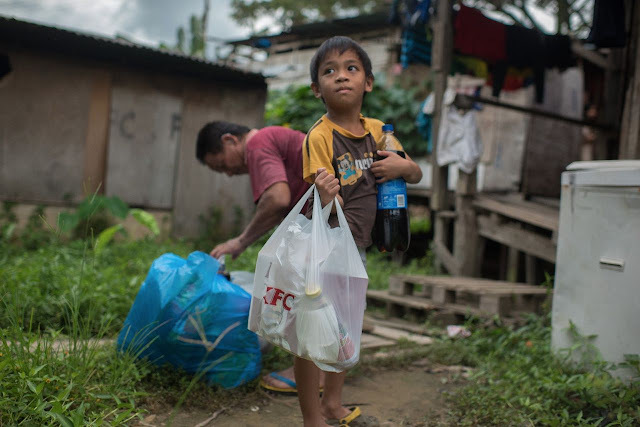 More than hundreds of children and their families from impoverished communities in the city were treated to early Christmas cheer recently, courtesy of popular fast food restaurant chain KFC. In a collaboration with HOPE worldwide Malaysia, a non-profit, non-religious, charity organisation based in Kuala Lumpur, KFC brought joy to their world and left smiles on the faces of children from slum areas in Inanam Laut and Lok Poring. The children and their family members came out in numbers to receive not only KFC fried but also groceries worth RM150 per family, sponsored by KFC. 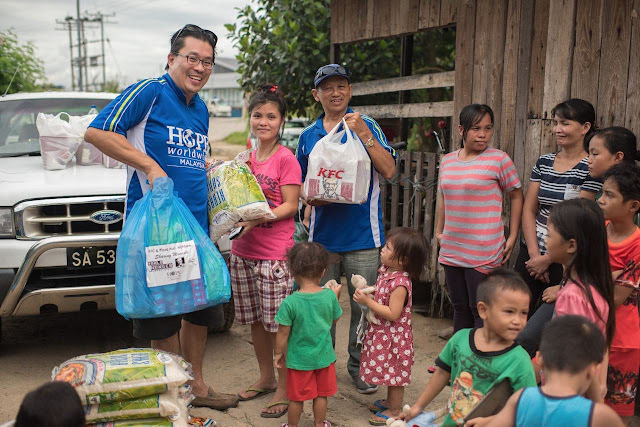 HOPE worldwide Malaysia country director Darick Wong said the goodies were distributed to 30 families with the help of volunteers from Kuala Lumpur and Kota Kinabalu. The groceries consisted of basic essentials: rice, Milo, cooking oil, biscuits, dried noodles, sardine, milk powder, condensed milk and tooth paste. Lee Whye Leng, a volunteer who facilitated the distribution, said the grinding poverty and a lack of basic amenities at the poorest neighbourhoods is an eye opener. "The experience was a shock to the senses, such as the very poor sanitary conditions including makeshift latrines emptying into the river. "But in spite of their situation, they were quite happy to have us there and it was the highlight of their day to have outsiders come and visit them," said Lee, who organised fun games for the slum kids. During the visit, the volunteers were invited inside the house of slum resident Andrew Stephen in Inanam Laut, where he had been staying there for 30 years. 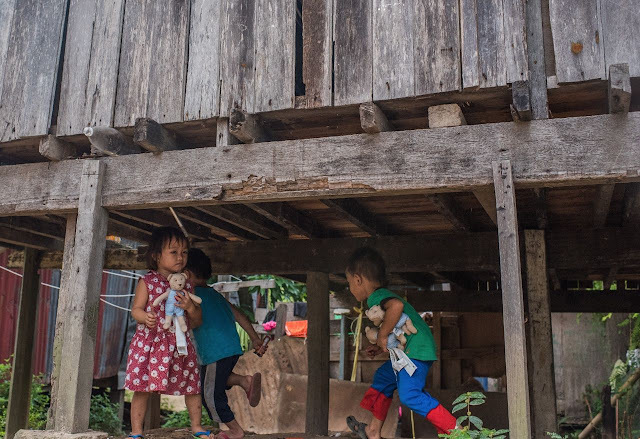 A native from Ranau, Andrew earns the minimum wage of RM800 a month and lives in a shanty wooden house with his wife and two children. Depending on the time of day, the cramped space is transformed into a kitchen, living room or bedroom. "I hope that one day the authorities will bring in electricity and light our communities, we had to rely on candles at night," he said. 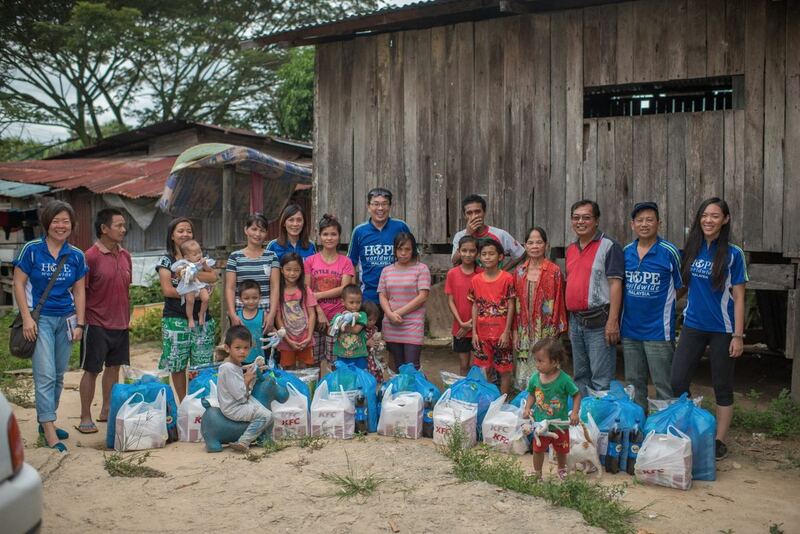 In Lok Poring, the people were delighted to receive a water tank as part of the project by KFC and HOPE worldwide Malaysia. Wong said the water tank will help to ensure better continuity of water supply for the community, while reducing the risk of water-related diseases caused by intermittent water supply systems. "The storage tank will help to address daily requirements; it is difficult for slum-dwellers to store more water to meet their requirement," he said. 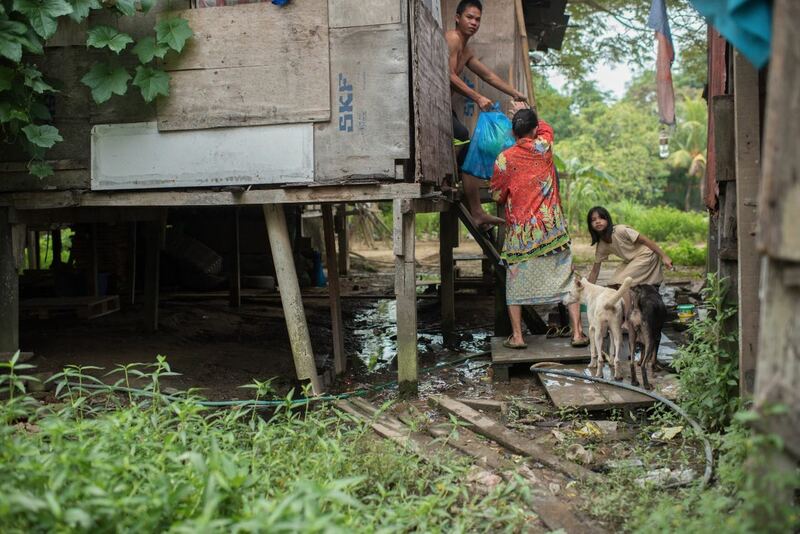 They do not have access to piped water supply and had to rely on water from a nearby stream. Mohamad Karim, 50, was surprised that anyone from outside would bother to ensure that they have proper water availability. "We have been living in squalor and isolation from the rest of society, outsiders don't come here at all. "Our only crime is being poor and destitute, but that crime is enough to merit our isolation. "With no education for the children, illiteracy is passed down through the generations and the cycle of poverty continues," said Mohamad, who earns minimum wage working in a nearby fertiliser plant to make meager ends meet.